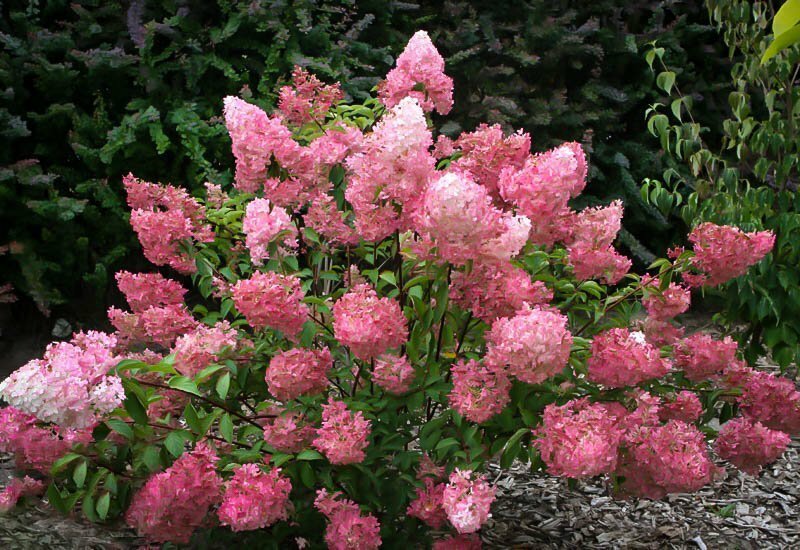 Panicle Hydrangeas can grow large, too big for smaller gardens, but now there is the Sundae Fraise Hydrangea, which grows just four feet tall and the same across – smothered in delicious flowers good enough to eat in a perfect strawberry shade. The large, conical flower clusters open white but by mid-summer they turn a gorgeous shade of strawberry pink and hold that color right through the fall. 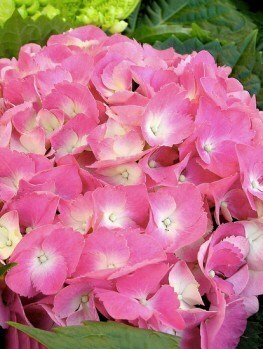 This is a touch of brilliance for your yard, in an easy-to-care-for shrub that will grow in full sun or partial shade. 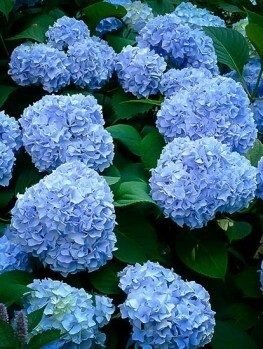 Any garden soil will suit the Sundae Fraise Hydrangea just fine and pests or diseases won’t touch it. For an easy, compact shrub that will bring color to the later part of summer and fall, when other plants are long finished flowering, this beauty cannot be beaten. When it comes to planning how you are going to add interest and texture to your landscape, there are often a great many things to take into consideration. These things can often be frustrating when all you really want are some beautiful, bold colorful plants that are low maintenance. 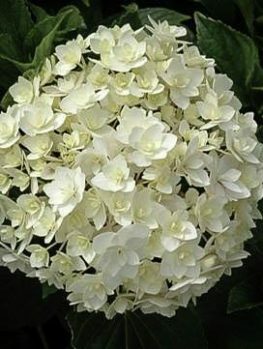 Hydrangeas are extraordinarily popular the world over and are prized for their remarkable flower heads that change color over the season giving a true riot of dramatic color that is difficult to match. 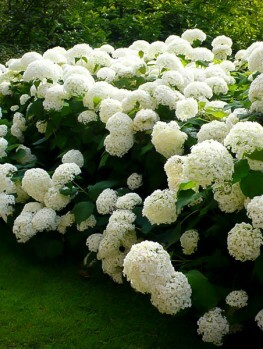 Generally these highly desirable plants veer towards the large side and require rather a lot of space, which can be a little off putting if you do not have that to spare, and who ever heard of putting a hydrangea in a pot on a patio or balcony? Wouldn’t it just be wonderful if someone could develop a variety that was compact, colorful, striking and easy to grow in a great many situations? Fortunately for lovers of striking colorful blooms everywhere, Jean Renault did just that, and so we have the Sunday Fraise which translates into a rather mouthwatering Strawberry Sundae. When the Sunday Fraise first became available a few years ago in Europe, they were exceptionally well received – and such is their popularity they continue to be difficult to obtain even now. For us here in America they are still relatively unknown, so planting some will add a bit more of an unusual element to your garden or patio. Indeed wherever you choose to place it, it will add a touch of highly tactile drama as these are the kind of flowers that you just have to touch. If Sunday Fraise is left to its own devices it will develop into a multi stemmed treelike shape; however, if you would like to ensure a bumper crop of the delightful flower heads then it is recommended that each spring you prune around two thirds of last year’s growth. 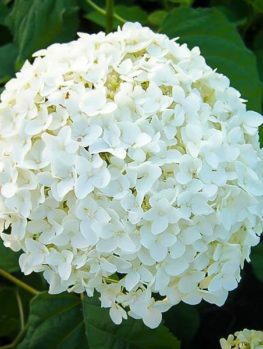 This encourages dense growth and strong compact flowers that, quite aside from looking fabulous in their chosen site, can be used to create that country house kitchen look by popping a few of the cut flower heads in vases and jugs. They also make great additions to bouquets and arrangements and the removal of the heads from the plant will do no damage at all. When you are deciding where Sunday Fraise should be planted, it is best to place them in well-drained soil that will not completely dry out. They require watering daily when the soil is dry and as the flowers are developing, though take care not to water the flowers and leaves themselves, instead directing the water at the base of the plant. 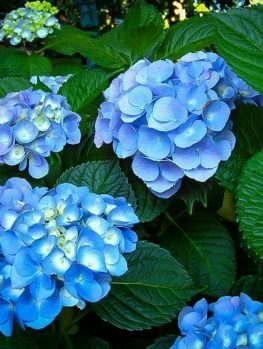 It is also preferable to use collected rainwater rather than tap water as the trace minerals can affect the color of the flowers. 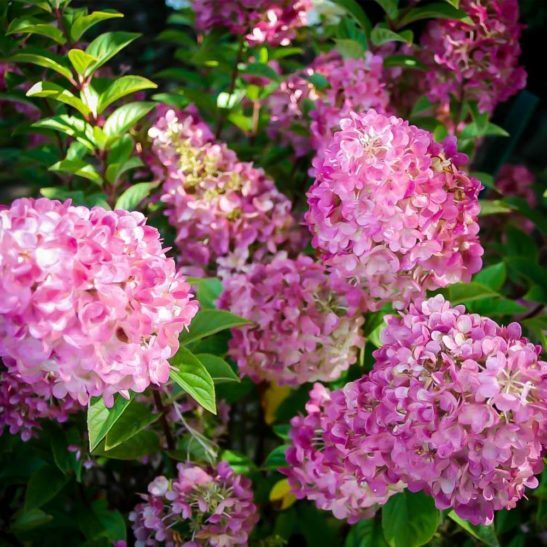 The fact that it can tolerate dry soil, along with their small compact size and proliferation of flowers, means they are ideal candidates for patios and balconies where they can really stand alone and be truly appreciated. However, if you are looking for something to add depth and drama to a bed or border then you really cannot go wrong; the only think to bear in mind is that they are not particularly fond of windy spots, so try to keep them sheltered. If you are in an area that suffers heavy frosts then it is wise to protect them over winter by either taking the pots into a warmer place, perhaps a garage or glass house, or covering them if planted. Sterile Flowers Means No Bees or Insects! Aside from what they will bring to your garden aesthetically, there is another benefit that might be surprising. As some of the flowers are sterile – so no clouds of pollen – they do not tend to attract bees or other insects in any great number if at all; this means that you can place them as close to doors and windows as you please without having to worry about your home being overtaken by wayward insects. 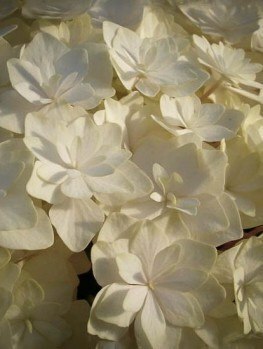 For the same reason these are excellent plants for minimizing the effects of hay-fever as pollination is done by insects alone, another reason why they are widely used in flower arrangements as having them inside the home does not cause additional misery to those suffering pollen allergies in summer. The Sunday Fraise has been a very welcome addition to the Hydrangea family, offering the chance to have these impressive flowers in places that its full size cousins could not have been placed. Whether gracing outdoor seating areas in pots and planters, adding brightness as texture at the foot of a window or as bold statement pieces in beds and borders, there is much to love about this remarkable plant and it is going to look wonderful wherever you choose to put it. 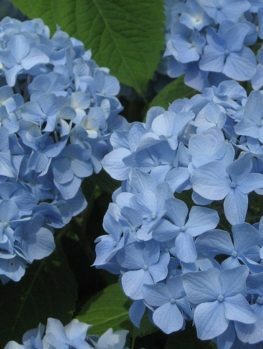 You may also want to consider other unique varieties of hydrangea like Nikko Blue or Endless Summer.